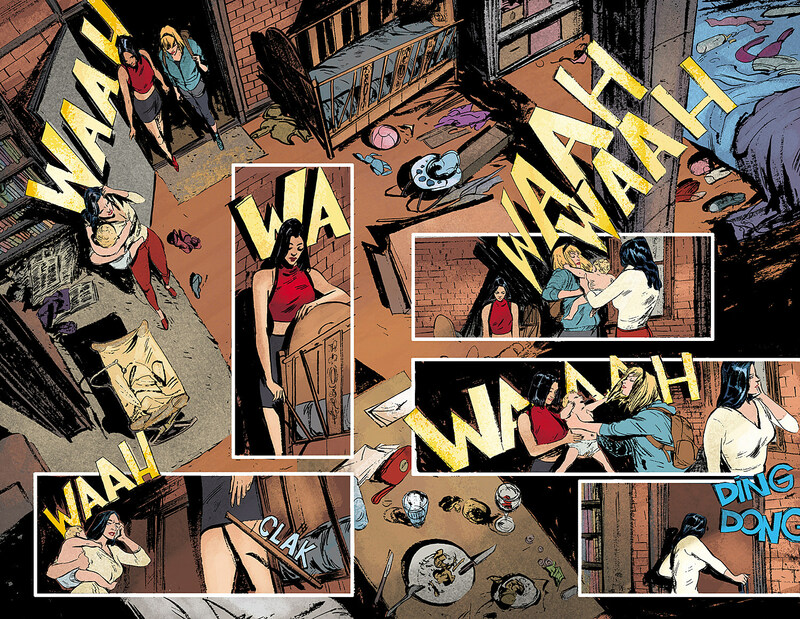 The three Spider-Women who all somehow have solo titles right now are having their inevitable crossover, and it all starts in Spider-Women Alpha #1. This book leads into an eight-part crossover between Spider-Woman, Spider-Gwen, and Silk. The crossover is written by Jason Latour, Dennis Hopeless and Robbie Thompson, with art by Vanesa Del Rey, Bengal, Javier Rodriguez, and Tana Ford. Thompson and Del Rey are handling this first chapter. The preview art doesn't show us much, just the trio hanging out together. The press release promising an adventure on Spider-Gwen's Earth, and the action figure variant cover gives us a glimpse of what I assume will be one of the villains. I wish the synopsis didn't tell us both that the villainous organization is called S.I.L.K., and that Cindy Moon, aka Silk, will meet her counterpart from Gwen's Earth. Maybe I'm out on a limb, but I have a guess about who the leader of S.I.L.K. might be. Next: Check Out Some of the Best Spider-Themed Cosplay Ever!